I had the stepper in my hand – since it’s always easier to discuss something concrete – and asked member Bill if he knew anything about making springs. He did, but not the kind I needed. We talked about mandrels and springback, and threw out ideas about how to design a form to wind what I needed. And then he pulled some music wire from a cabinet and started bending it by hand into very roughly what we thought we needed. That physical strawman let us pull and twist and point and talk about which direction the forces were acting and how to anchor it and how a spring like that really works. After a delightful session of technical banter, I had a LOT more insight into the spring I needed plus the eye-opener that I could just make it by hand! 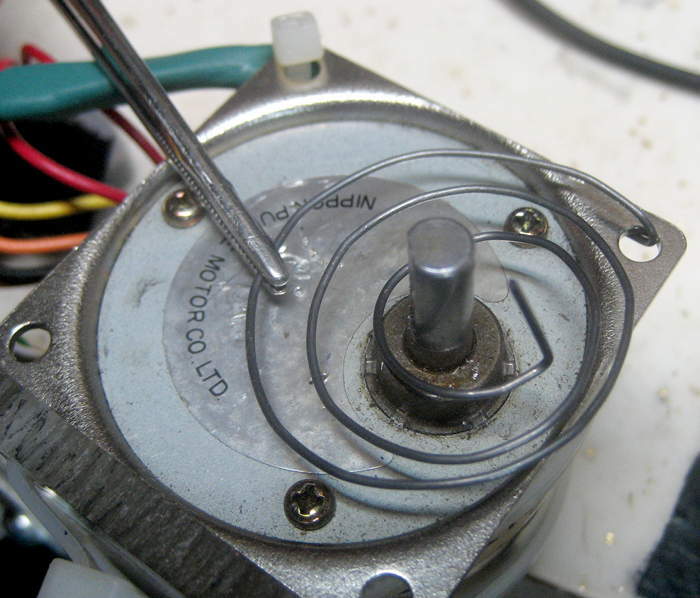 I grabbed some wire and a pair of pliers, and in 15 minutes had a spring that did exactly what I needed. A fun technical discussion and exploration with a friend, and going from a show-stopper problem to a perfect solution for a few pennies’ worth of materials – it doesn’t get much better than that. And that’s why we hang out at makerspaces. The project I needed the spring for is another great, if darker example of what happens at the space. 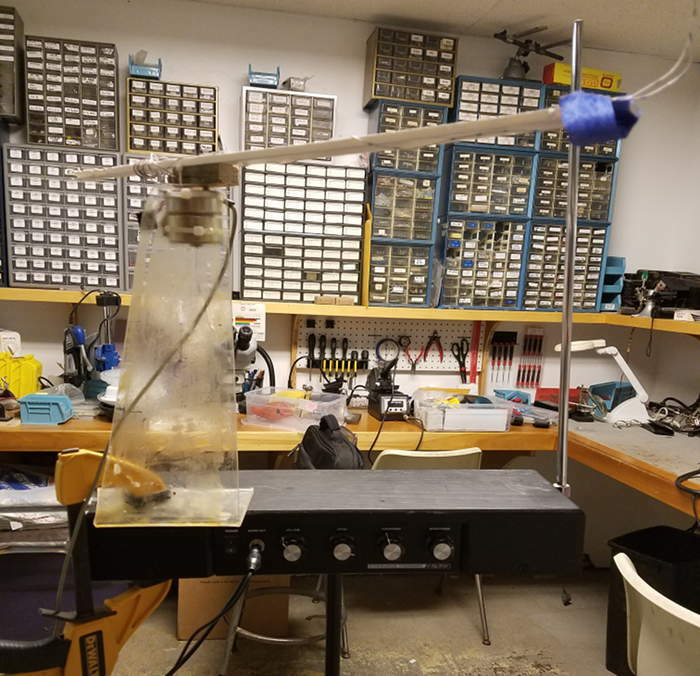 An old lonely, dusty Theremin has lived in the back room for years, and I brought it out to see if I could make it work. It had just started to play its first eerie notes, and I was showing it to whoever wandered by, when somebody – a visitor, whose name I don’t recall – said “It would be neat to have a robot play it.” Whoa. That would be so frickin’ cool that even though I needed a new project like I needed a hole in the head, the Theremin playing robot was off and running. Here’s a clip of it playing a scale a couple of weeks later.